Above: An open plan creates more space and more storage in this master bath project. 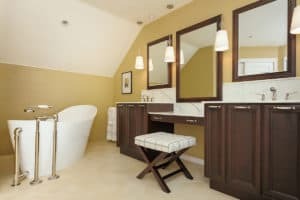 Oftentimes the most functional room in your home — the bath — is also the darkest, cramped and most cluttered space. Why settle for something that doesn’t suit your lifestyle? Once you’ve created a list of priorities and are ready for a remodel, consider these seven design components from our award-winning designers. 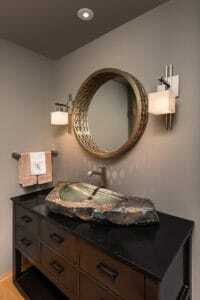 Above: A basin made from natural stone is the centerpiece in this powder bath. If the space doesn’t already have natural light, there are plenty of ways to create an inviting atmosphere. “Adding the ability to dim the lights or get different layers of light in there helps set the tone for a dim evening shower at night and a nice bright shower when you want to wake up in the morning,” Campbell says. 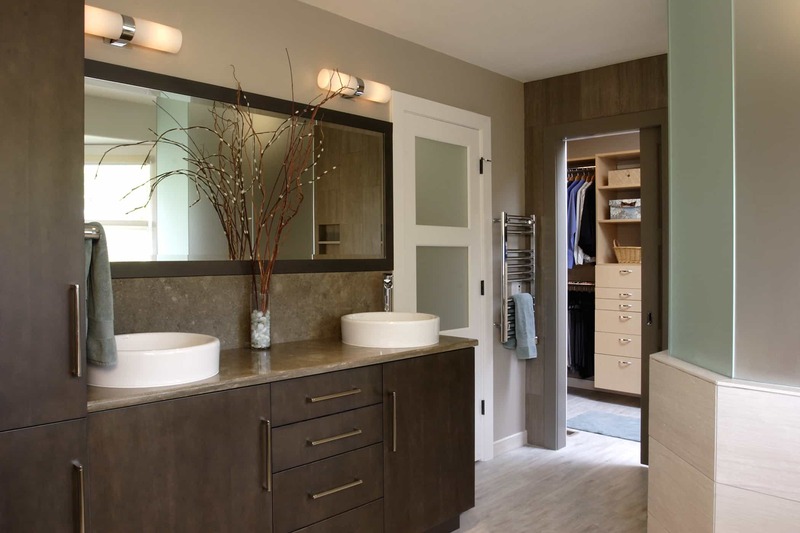 If you’ve been dreaming about remodeling your bath and are ready to put plans into action, schedule an appointment with our Design/Build Remodeling Team today. ← What Can You Do With Your Basement?